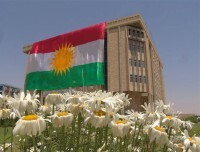 The export of Kurdish oil is the most recent act of defiance by the Kurdistan Regional Government (KRG), largely applauded by the Kurdish people, in reaction to the inflexible attitude of the central government of Iraq. 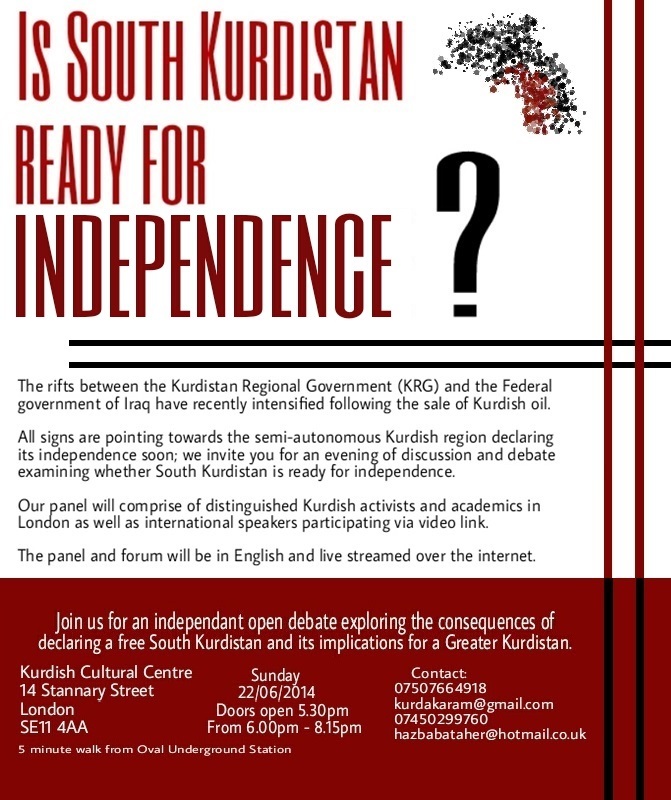 Kurdish leaders have alluded to a possible declaration of independence and, at a time when the relationship between said governments is growing increasingly sensitive, we believe the Kurdish community will benefit from participating in an engaging and enlightening debate on this topic. This is a pivotal stage in the struggle for nationhood and it is important that the Kurdish diaspora mobilises in debates and considers the economic, political and regional ramifications of establishing a Kurdish state. To explore this potentially decisive stage in Southern Kurdistan’s future, we have invited distinguished Kurdish activists and academics to share their views as a panel in an independent public forum. The evening will also feature the views of some international speakers shown via video link and the whole event will be live-streamed to the Kurdish diaspora and Kurdistan (details to follow). 2017 is the ideal year. We must first merge all Forces, minimize corruption, promote democracy, do more reforms and further work on the infrastructure. We still have deficiencies. We should first hold a referendum for Kirkuk and Kurdish areas and of course, we need the support of Russia. As long as Corrupt Obama is in White House , Expect no changes in US FP. Lets wait and see the next presidential election in US. He is a disgrace!